Avoiding relegation might be the need of the hour for Gokulam, but Lajong are onto finishing in the top half of the table. 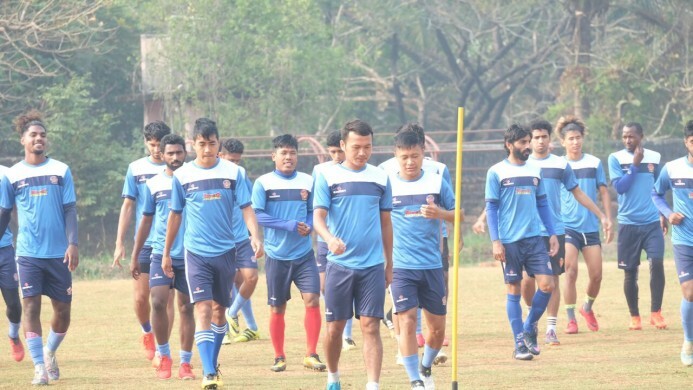 Hero I-League action is back to God's own country once again as Gokulam Kerala FC is slated to host Shillong Lajong FC at the EMS Corporation Stadium in Kozhikode on Sunday. After succumbing to five consecutive defeats, the Yellow outfit finally found some respite having clinched a crucial victory against Chennai City FC in their last away fixture. Bino Geroge's boys haven't gone through a merrier ride at their home until now where they've earned only a point in six outings. "Win is very important for us in next match against Lajong to increase our chances of finishing in top four", Coach Bino George cleared where his team's focus is at. Meanwhile, the coach said that his team is 'confident' now, all thanks to the late inclusion of Musa. "Team is confident now. Our midfield general Musa brought some stability to the team. 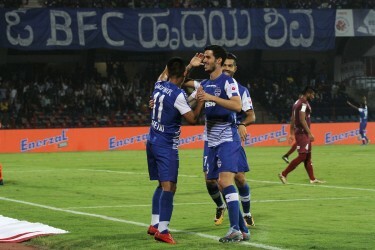 It was a different strategy from us against Chennai City and we got the result." 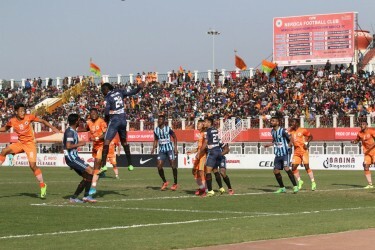 Bino George showed utter respect for Lajong who humbled their North-eastern rival Neroca FC in their last outing, that too at their den Khuman Lampak Stadium, having halted their sublime nine-game unbeaten run. "Shillong is a good team with good players, but a win is a must for us tomorrow", Bino George expressed that his team won't compromise on anything less than all three points tomorrow. On the other hand, Shillong asst. coach Alison Kharsyntiew is getting a big intrigued because of the hot and humid weather of Kozhikode compared to Shillong. "The weather is bit different compared to Shillong. But that's the beauty of league. We have to adapt to that quickly. I think our boys are prepared for the match against Gokulam Kerala FC. It'll surely a tough match for us." Although Lajong have gotten the better of Neroca FC in their last outing, gaffer admitted that the Reds are not consistent in the league and they've to get the mojo back to climb up the ladder. "We are not consistent. We need to work hard on that. There's no rocket science behind that. We have to pull up our socks and push ourselves more in the training sessions to rectify the mistakes." Lajong's average age is quite below and the Meghalaya-based team heavily bank on the youngsters. Alison exuded that these boys have a long way to go and they need encouragement to scale a newer height. "We are a junior team and sometimes, we fall short of experience. We need to improve, put more effort in the training sessions. These guys need to be encouraged." Koffi, the attacking spearhead is back in goals and Alison didn't mince his words praising the striker. "Koffi is back and he's getting into the groove. It has helped the team a lot. Samuel is also back from an injury now. He has to shoulder a major share of responsibility tomorrow." The match is scheduled to kick-off at 02:00 PM and it'll be aired live on Star Sports 2/2 HD and streamed live on Hotstar and Jio TV.